Prince has died at the age of 57. The legendary singer-songwriter passed away at his Paisley Park estate in Chanhassen, Minnesota, on Thursday, April 21. "It is with profound sadness that I am confirming that the legendary, iconic performer, Prince Rogers Nelson, has died at his Paisley Park residence this morning at the age of 57," his U.K. rep, Anna Meacham, confirms to Us Weekly in a statement. "There are no further details as to the cause of death at this time." His publicist, Yvette Noel-Schure, also confirmed the news. TMZ reports that authorities responded to Prince&apos;s home at 9:43 a.m. The site obtained the emergency dispatch call. During the exchange, someone reportedly said: "Male down, not breathing." Earlier this month, Prince was rushed to the hospital via ambulance on Friday, April 15, after his private plane had to make an emergency landing in Illinois at the Quad City International Airport in Rock Island County. Prince was expected to perform a concert in Atlanta at the time. He was reportedly battling the flu for several weeks and returned home shortly after. Prince broke out in the music industry in the late &apos;70s and &apos;80s when he released the self-titled album Prince in October 1979. He&apos;s also best known for his 1984 hit "Purple Rain," which was released on his sixth studio album of the same name. Purple Rain become his first No. 1 album on the Billboard 200. 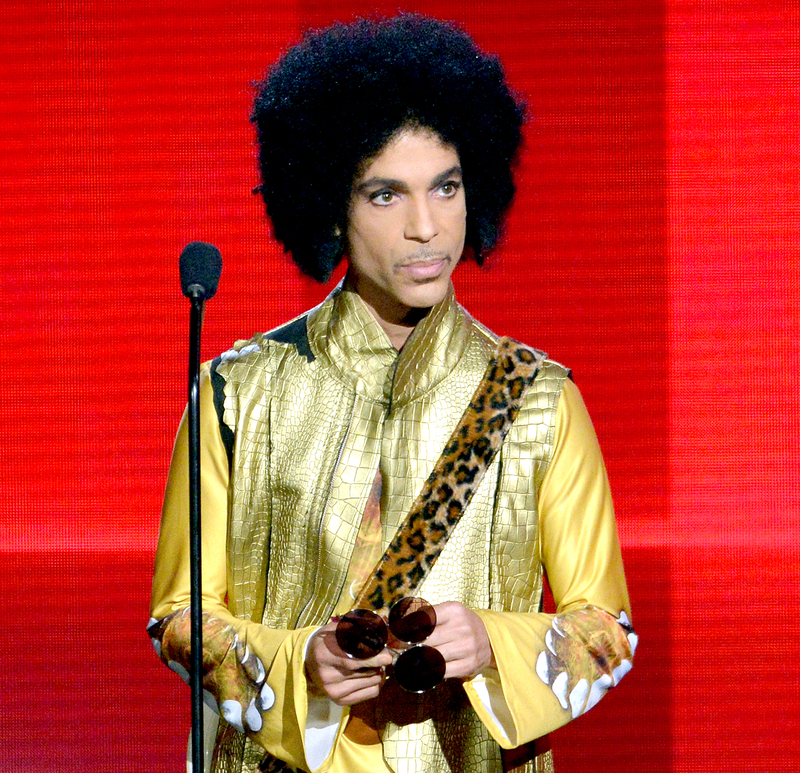 Prince&apos;s extensive career includes 39 solo studio albums. He&apos;s known for songs such as "Little Red Corvette," "Kiss," "Thunder," "Adore," "Pop Life" and "When Doves Cry." The pop icon, who went on to become one of the best-selling artists of all time, won multiple accolades throughout his lifetime. He earned seven Grammys, a 2007 Golden Globe for "The Song of the Heart" in the Best Original Song category, which was featured in Happy Feet, and has been recognized at the BET Awards, Brit Awards and Image Awards. Additionally, Prince won an Academy Award in 1985 for Best Original Song for the Albert Magnol–directed movie Purple Rain. He was inducted into the Rock and Roll Hall of Fame in 2004, where he performed a cover of The Beatles&apos; "While My Guitar Gently Weeps," and performed at the Super Bowl halftime show in 2007. In September 2014, Prince opened up about his career during an interview with Billboard. "I don&apos;t need another gold record. You don&apos;t quantify success by numbers," he said at the time. He also spoke about his music being available on both iTunes and Spotify. "It&apos;s about the deal. Anything I&apos;m doing now, it&apos;s equitable. I&apos;m happy," he said. "I just thank God that I&apos;m here now." As previously reported, Prince&apos;s former protégée Vanity died at the age of 57 in February from kidney failure. Prince paid tribute to her in concert following the news.